One of the most ancient of agricultural crops, hemp’s contribution to the food supply has a long history across many cultures. Its seeds and oil were used as food by the Chinese as early as 8,000 BC. The Buddha is purported to have been sustained by hemp seeds during his fast of enlightenment. During the late medieval era, hemp had begun to be used in German and Italian cooked dishes like soups and as a filling in pies and tortes. 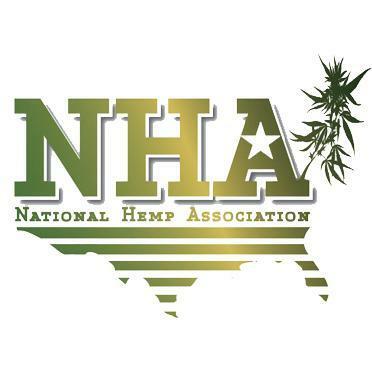 Hemp has waxed and waned in the culinary world due to its erroneous association with marijuana’s psychoactive properties—which are not characteristic of hemp. In fact, hemp is highly nutritious. As awareness and appreciation of its attributes grow, so does demand, and hemp’s availability in our diets is on the rise. Hemp seed—a little nutritional marvel—is not actually a true seed. Rather, it’s an achene, which is a simple, dry fruit with a hard shell (such as a sunflower seed). Whole hemp seed contains approximately 20-25% protein, 25-35% fat as oil, 20-30% carbohydrates and 10-15% insoluble fiber. It is also a source of numerous vitamins and minerals. Nutrient-rich hemp seed contains all nine essential amino acids, is easily digestible, gluten-free and contains no known allergens. Nature’s highest botanical source of essential fatty acids (EFAs), hemp has a perfect 3:1 ratio of Omega-3 and Omega-6 EFAs. It’s high in fiber, low in sugar and contains no cholesterol. Most hemp food products use the seed and the oil derived from it. Many people enjoy the light, nutty taste of raw hemp seeds, eaten as a snack, on cereal, in salads or added to a host of other dishes. Oil is cold-pressed from the seed which can also be the basis for butter, hemp milk and even ground into a meal or flour. Hemp seed can be sprouted and the leaves of the hemp plant can be eaten raw in salads although leaves can be a bit tough. Hemp is used to make protein powder, fiber supplements and is used in smoothies. It has become a popular ingredient in cereals, granola and snack bars. There’s even talk of hemp-based pasta. And, of course, enjoy our own Hemptealicious™ selection of 100% organically grown, whole-plant teas. Refreshing, soothing and naturally caffeine free, each tea bag contains 25mg of CBD. Cruelty free, Pure Hemp Botanical’s teas are sourced and packaged in Colorado and available in many delightful flavors. Hemp is considered by many to be an almost perfect food and its popularity is growing. According to Paul Benhaim, CEO of Hemp Foods Australia, demand for the hemp seed, oil and protein foods they produce and export is expected to grow 400% next year. Share with us in the comments why you love hemp, how you make it part of your diet or use it in recipes; we may feature your ideas on our website or in a future blog.